January 1, 2018 brought an entire new industry to San Diego’s doorstep: legalized cannabis. And, considering marijuana and food have been bedfellows since the beginning of time (munchies, anyone? 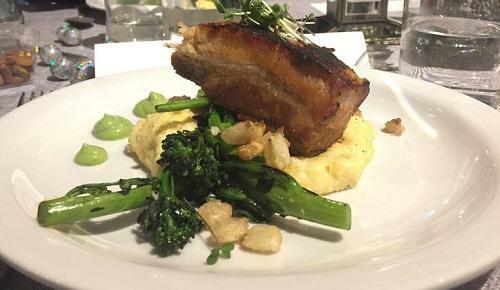 ), it’s no surprise that San Diego’s chefs and epicureans are eager to get in the game, and have done so mainly by launching dinners that pair cannabis consumption with high-end dishes. One dinner event, which recently celebrated its first anniversary, is the Closed Door Supper Club, run by Marie Daniels, who also owns a public relations company.